Storage in a school or university environment can often be difficult. There is a need for many people to be able to store and access equipment, all within a limited footprint. Our range of education lockers provide both the security and the flexibility that is needed for such a storage problem. 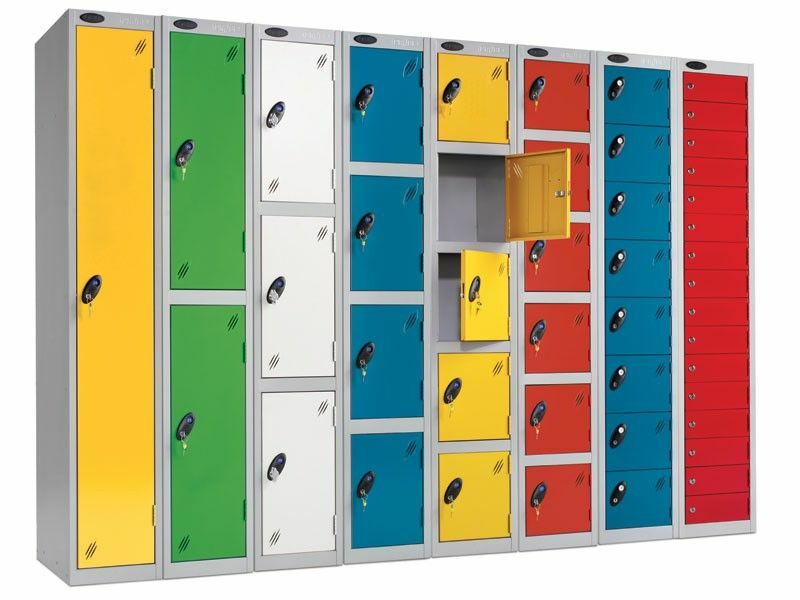 NSI have years of experience providing lockers for schools and so can work with you to make sure that your locker set up is adequate for your pupils. Whether you need lockers for storing books or sports equipment, we can provide you with a solution that will work well and won’t break the bank. NSI’s range of education lockers provide a flexible and secure storage solution for schools and universities. Our lockers have a robust metal construction with vented doors to give a safe, hygienic storage system. The durability of our products make them perfect as lockers for school environments or for use as university lockers. Each compartment comes with a camlock and two keys to keep the contents secure. This also allows for schools to keep the second key in case of losses. Alternatively, combination locks or even coin actuated locks can be supplied. There is also an option for a sloped top to prevent unauthorised materials from being stored on top. You can choose between a range of designs with different numbers of doors depending on your needs. Lockers with one door come with a top shelf and a coat rack, perfect for use in changing rooms. Assorted designs and colours can be combined to give a more interesting design or to match the surrounding environment. All our products come with NSI’s first class customer service. We will even deliver your lockers direct to where you need them so you can be set up in no time. All of our education lockers come with a 1 year parts warranty and can be delivered in 10 – 15 days.